We all have different experiences of life and form different views about everything we think about. We bring these perspectives to different questions and challenges we are confronted with – our thinking is, the psychologists tell us, more subjective than we’d like to believe. These presuppositions and biases can’t help but affect our conclusions. Different attitudes to the Bible are a case in point. Conservative christians generally regard the Bible as “the Word of God”, meaning it is the very words of God. To them, this, logically implies that it must be perfect, except maybe for some minor translation and copying errors. This is a central and non-negotiable part of their faith. This means that they feel obliged to defend the Bible against any attack on its historical accuracy, and explain every apparent anomaly. This can create problems, for sometimes the explanations are not very convincing to critical thinkers, and often the explanations divert christians from more important matters. For example, perhaps arguing for young earth creationism diverts discussion away from Jesus. Many atheists in the west grew up in christian cultures, and some were committed believers earlier in their lives. 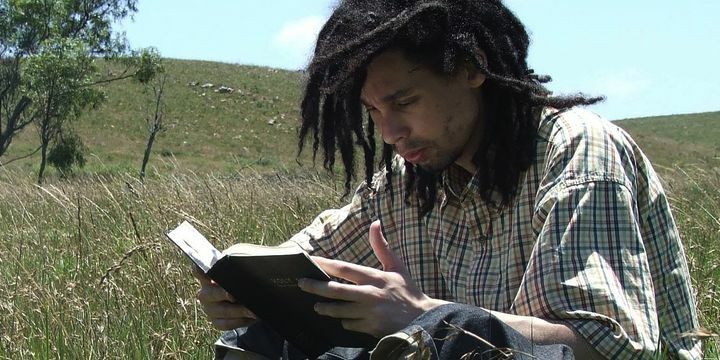 Perhaps surprisingly, many of them have a similar view of the Bible – they too assume that for the Bible to be a religious text it must be the “word of God” and without error. Because they believe there are many errors in the Bible, they argue it cannot be from God. This means they are not actually rejecting the Bible, but rejecting a particular view of the Bible. If a christian holds a different view, their criticisms seem irrelevant. Worse, it keeps them from forming a reasonable and evidence-based view of the Bible. For example, arguing that the Bible can’t truly reveal God because prophecies haven’t been fulfilled makes assumptions about God and the nature of prophecy that may not be warranted. It makes sense to gather information first and draw conclusions second, rather than make assumptions and try to fit the evidence to those assumptions. If a zoologist discovers a new animal species, the animal would be observed, its bone structure, DNA and reproductive cycle documented, and much more, before it could be classified. The police gather all the clues available at the scene of the crime before they charge someone with murder. So it makes sense to postpone drawing a conclusion about the Bible, positive or negative, until it has been examined and described as it is. The 27 writings that make up the New Testament were all written in the second half of the first century – that is, between 20 and 70 years after Jesus was executed. This is quite close to the events by ancient standards. The authors of some books are not known for sure. It appears that the gospels were compiled from eye-witness accounts of events and sayings, mostly handed down orally, although some were probably written down. The four gospels agree about many of the facts about Jesus, but differ (it seems) about some details. Historians have examined the gospels in meticulous detail, and generally conclude that they are useful historical documents, even though they contain anomalies and (like many ancient writings) they have been written from a christian perspective and include reflection on meaning of the events as well reporting. Scholars generally believe that the Old Testament begins with mythical or legendary stories which the Jewish people used to explain their view of the world and their place in it. Many of these early stories and law codes have parallels in other ancient Middle Eastern writings. There is scant historical or archeological evidence for events dated before about 1000 BCE, so historians hold a wide range of opinions on how much of this material is historical. Gradually, however, the stories become less legendary and more historical, and there is corroborating evidence for many of the events after about 1000 BCE. The writers’ understanding of God also seems to develop through the Old Testament. Like the New Testament, it seems that much of the earlier material is a compilation of stories handed down orally, and thus developed over a long period of time, and finally written down some time midway through the first millennium BCE. Later writings (mostly the prophets) would likely have been written shortly after the events and teachings they contain. The prophets mostly explained how God felt about the Jewish people’s behaviour, but do include what appear to be predictions (though they tend to be more like warnings), including some whose fulfilment seems doubtful. If God is “behind” the Bible, he didn’t choose to reveal himself in a theological treatise, but in more creative ways – its 66 books include history (or legend), poetry, writings of the prophets, letters, proverbs and vision. It has many authors, with many different viewpoints – and they don’t always seem to agree totally. Many books claim to contain words from God, but there is no overall claim that the whole Bible is God’s words, and the process by which the authors chose what they wrote is not explained clearly. Paul in one place (1 Corinthians 7) differentiates his words from those he saw as coming more directly from God. When Jesus and the New Testament writers quote the Old Testament, they appear quite happy to change the text a little or give it a new meaning. Thus, although they viewed the scriptures as divinely inspired, this didn’t seem to mean that they thought the exact wording was sacrosanct. It appears then that the Bible is a human book written by believers about the God they knew and observed, and who sometimes spoke to them. There is no reason other than our own theology to regard absolutely all of it as accurate history or words from the mouth of God, but the authors do appear to be writing as accurately and honestly as they can. For millennia, believers have found truth and meaning in the Bible. Could the Bible truly reveal God? I can see no prima facie reason why it couldn’t. We gain accurate knowledge (in varying degrees) from scientific texts, newspapers, biographies and personal experience. We know that none of these processes is entirely without error, but that doesn’t stop us cautiously trusting them. If God created a world that is far from perfect (though we can blame ourselves for most of that! ), and the church begun by Jesus is likewise flawed (again, mostly the fault of people), then there seems no reason in principle that God couldn’t choose to reveal himself through writings that are fully human. He would be quite capable of inspiring and leading the writers’ thoughts without forcing them to follow a set script. Does the Bible in fact reveal God? Each of us has to draw our own conclusions. A christian who takes the historical evidence seriously will accept that God has revealed himself in a slightly less direct way than they might have first thought. As CS Lewis said, this will teach them something about God. He has chosen to reveal himself through people, through stories and parable that appeal to the imagination rather than academically. An atheist may need to reconsider why they have rejected the Bible, whether they have built on a misunderstanding. If they still reject it, their grounds may need to change a little. I accept what the historians generally say about the Bible. I think the historical basis for the life of Jesus is quite sufficient to conclude that he was an amazingly unusual man, whose life, resurrection and teachings are far better explained if he was an incarnation of God than if he was merely a failed prophet. I believe the Bible is from God, in an indirect way, because I believe in Jesus. I am slightly surprised that God chose to do it this way, but the more I think about it, the more I can see it is quite consistent with the character of the God revealed in the Bible. I think christian faith is built on the life of Jesus, the character of the God revealed by Jesus, and a trust in the Spirit of God to lead us to true understandings. My faith is based on the God revealed in the Bible, not on the Bible itself.